The 2017 Nissan Maxima receives a handful of equipment changes in its second year on sale, but prices for all five trim levels increase just $50. The primary change for the 2017 Nissan Maxima is the addition of Apple CarPlay connectivity as standard for the car’s 8.0-inch touchscreen radio. There are also two new option packages to dress up the Maxima, joining the existing $1,195 Midnight Edition pack that was launched in February. The Medallion Package, a $1,345 option available only on the fully loaded Maxima Platinum, bundles a spoiler, 18-inch wheels, illuminated door-sill plates, interior accent lighting, and outside puddle lights. 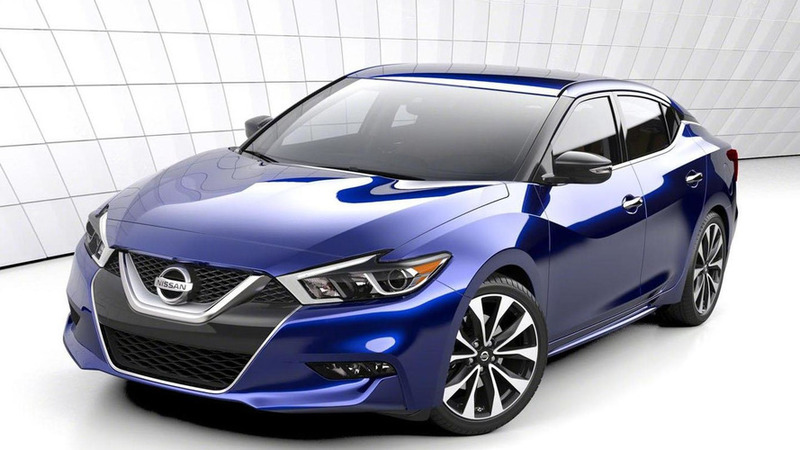 The Dynamic Package, meanwhile, brings similar features to the Maxima SV trim level for $990, adding a spoiler, 18-inch wheels, illuminated door-sill plates, and new side skirts. 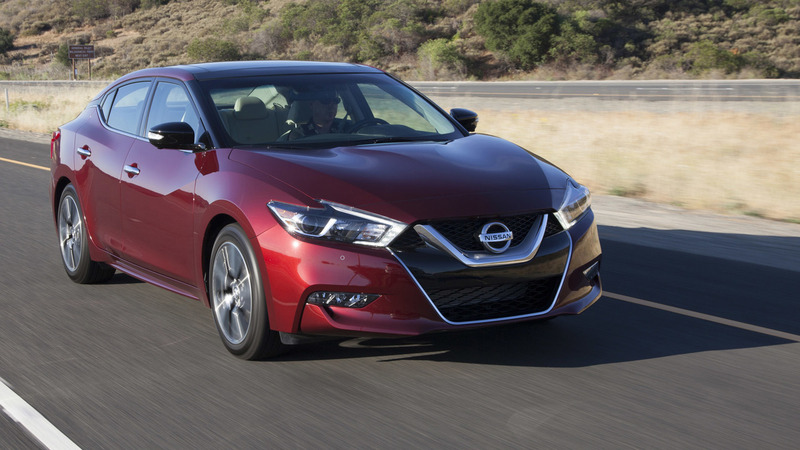 There are no other significant changes for the 2017 Nissan Maxima, which continues to offer a 3.5-liter V6 engine good for 300 horsepower, with a continuously variable transmission directing power to the front wheels. The 2017 Maxima goes on sale today. As the flagship of Nissan's popular sedan lineup, Maxima sets the standard for style, performance and technology. In 2016, Maxima was recognized by leading automotive media for its style, performance and driving enjoyment – including being named to WardsAuto's "10 Best Interiors," MotorWeek's "Drivers' Choice Awards" and WardsAuto's "10 Best Engines." The 2017 Maxima's new standard NissanConnectSM with Navigation featuring Apple CarPlay system includes an 8.0-inch touch-screen display, along with SiriusXM® Satellite Radio and SiriusXM® Travel Link™ applications (SiriusXM® subscription required, sold separately), Streaming audio via Bluetooth®, Hands-free Text Messaging Assistant, Nissan Voice Recognition for navigation and audio and two front illuminated USB connection ports for iPod® interface and other compatible devices. It also features "swipe to meter" functionality, which allows the driver to swipe the navigation map from the center display to bring it up in the standard 7.0-inch Advanced Drive Assist Display (ADAD) within the instrument cluster. Maxima Platinum models include standard NissanConnect with Navigation and Services featuring Apple CarPlay. The system's wide range of features includes automatic collision notification, remote start via smartphone, emergency call, stolen vehicle locator and more (six-month free trial; subscription required, sold separately). Maxima's cutting edge exterior starts with a distinctive upscale look that embodies the latest Nissan design language through its unique combination of a lower profile and a wide stance, bold front end, Nissan signature V-Motion grille and floating roof appearance. Maxima's lighting features define its presence on the road with boomerang-style headlights and taillights, LED daytime running lights and two-piece taillights. Large dual exhaust tailpipe finishers and 18-inch machined-finished aluminum-alloy wheels (19-inch wheels on the Maxima SR grade) complement the look. The 2017 Maxima is available in nine exterior colors, including two Maxima-exclusive exterior colors – Forged Bronze and Coulis Red. Maxima's stunning interior design is anchored by a command central driver's cockpit that features optimal reach to all controls and a center stack angled toward the driver. The Display Commander control, located on the console, allows fingertip control of the center display. The bespoke-style interior offers genuine stitching on the instrument panel, doors and console, available LED Interior Accent Lighting, available Ascot premium leather seating surfaces with diamond-quilted inserts (also available in Alcantara®), unique faceted finishers and a sporty D-shape (flat-bottom) steering wheel. Maxima's 3.5-liter VQ-series V6 engine applies lessons learned from the legendary Nissan GT-R, such as sodium-filled valves, to meet needs of the higher compression ratio and combustion temperatures. With 300 horsepower, it achieves a high specific output (HP/L) of 85.7 horsepower/liter. Highway fuel economy is rated at 30 miles per gallon***. Maxima's refined handling and ride comfort starts with a redesigned platform (versus the previous generation) that features increased use of high strength steel and a revised 4-wheel independent suspension with monotube rear shock absorbers. The sporty Maxima SR grade features unique suspension damper tuning, a larger front stabilizer bar and 19-inch wheels and tires to add even more performance. The 2017 Maxima also offers an extensive range of safety, security and driving aids, including Predictive Forward Collision Warning (PFCW), Intelligent Cruise Control (ICC), Forward Emergency Braking (FEB), Rear Cross Traffic Alert (RCTA) and Blind Spot Warning (BSW). These features are standard on Maxima SL, SR and Platinum grades. Maxima also offers an available Driver Attention Alert (DAA) system****, which learns each individual driver's steering patterns and helps alert the driver when drowsy or inattentive driving is detected (Maxima Platinum only).